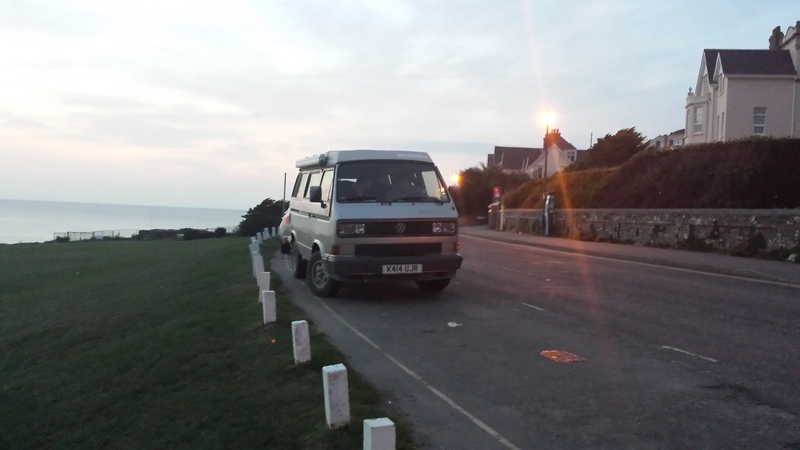 My name is Andy and my love affair with the T3 campervan was cemented on 14th September 2014 during a romantic stroll along the the seafront at Woolacombe on a warm summers evening with my wife Mandy. A late T3 Syncro Westy caught my eye, and after a brief chat with the owner the cogs in my head started turning. Days later my mind was made up and the wheels were in motion to raise the funds to buy a campervan. I have an interest in classic vehicles as can be seen from the gallery below. I was stripping down my first classic mini and messing around with motorbikes back in the 80s. This stood me in good stead for a future life with my T3 campervan. I wouldn’t say I was hankering uncontrollably for years to own a VW van, but they have interested and intrigued us much like they do for so many people. The splits and the bays draw attention for their looks and sounds, but this is the case for many classic cars due to the rarity . But for whatever reason I fell in love with what many consider to be the ugly duckling of the VW campervan family…the T3. That said it had to have Square Headlights. For whatever reason the earlier vans with the round lights just didn’t grab my attention. 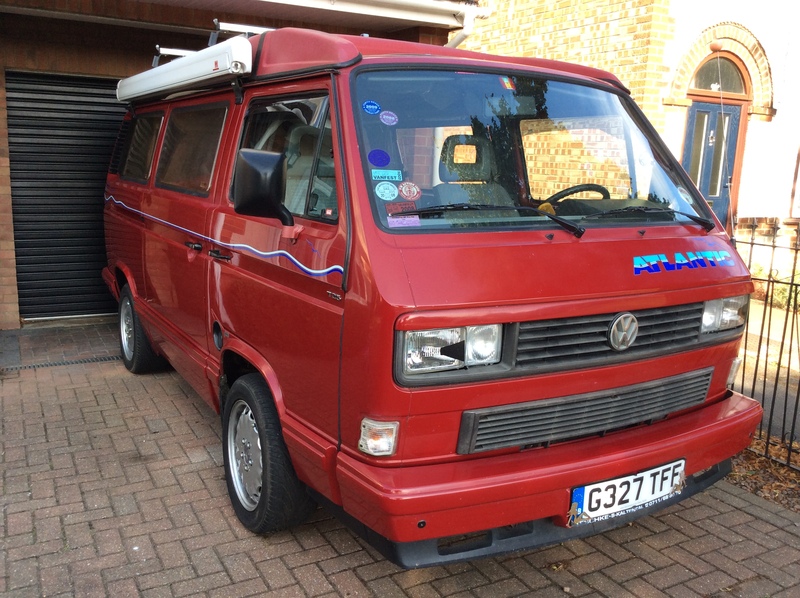 I really think the Westy Syncro we saw had a massive impact on the route our lives took. The first photo I saw of my new van was in an advert on the ‘Car and Classic’ website. This was spotted late one Wednesday evening by Mandy. It certainly looked like it ticked the box as far as what we were looking for in a camper. I contacted the owner who lived in Peterborough and ask for some higher resolution images so I could make a more informed decision on it’s condition. I received these on the Friday morning . I called the owner and told him I was interested and would pop over on the Sunday to view. However, he had a potential buyer driving over that morning. So I did what you should never done in that situation…and place a deposit to secure the van without even looking at it 🙁 . Fortunately, I was happy with the condition when I finally went to collect, and the rest is history !